There is ample parking in the 191 Peachtree Tower parking deck which is accessible via Peachtree Center Avenue. Your parking will be validated at the restaurant. 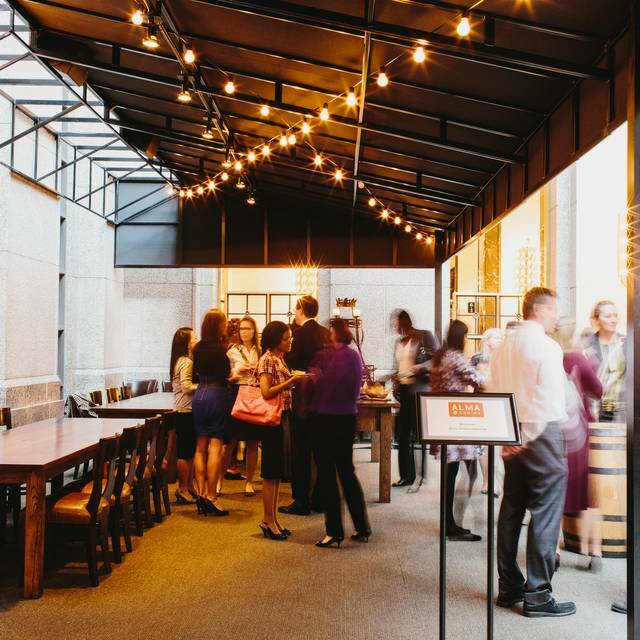 Off-site catering is handled through our catering company, Bold American Events. For more info, visit http://boldamerican.com today. 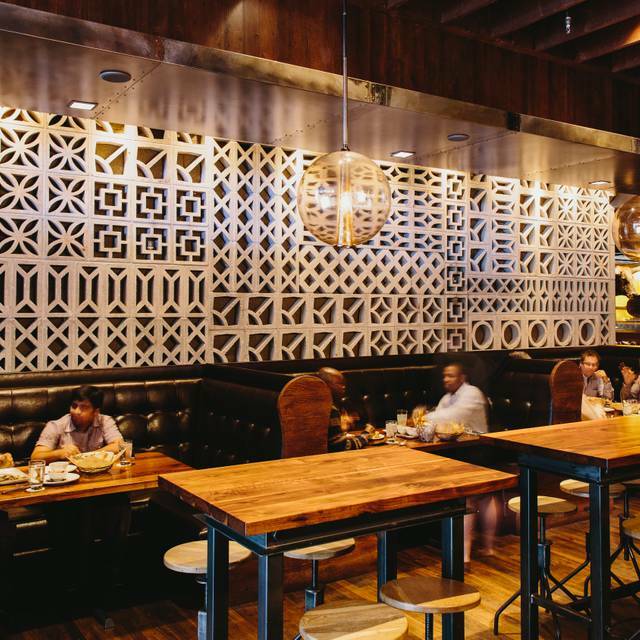 Alma Cocina introduces Atlanta to a refreshing new approach to modern Mexican cuisine. Bright, fresh ingredients and traditional regional influences come together with other Latin American flavors in a variety of vibrant fresh dishes. 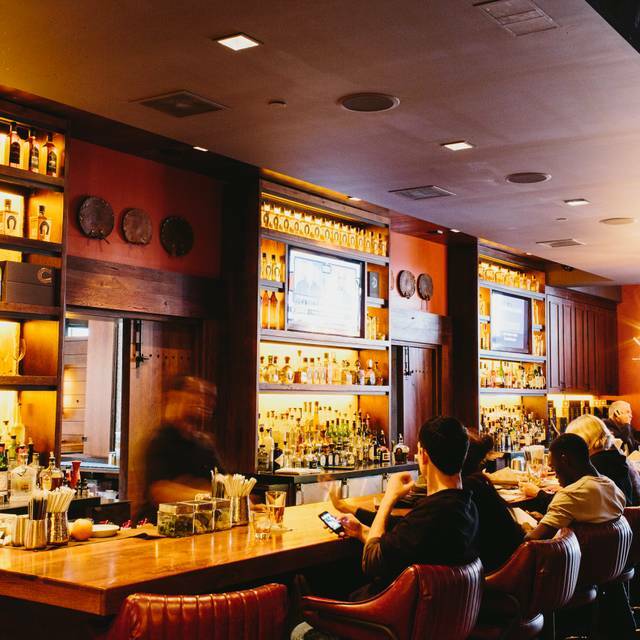 We also feature the most unique tequila selections and a host of innovative Latin-influenced cocktails beyond a superior margarita. 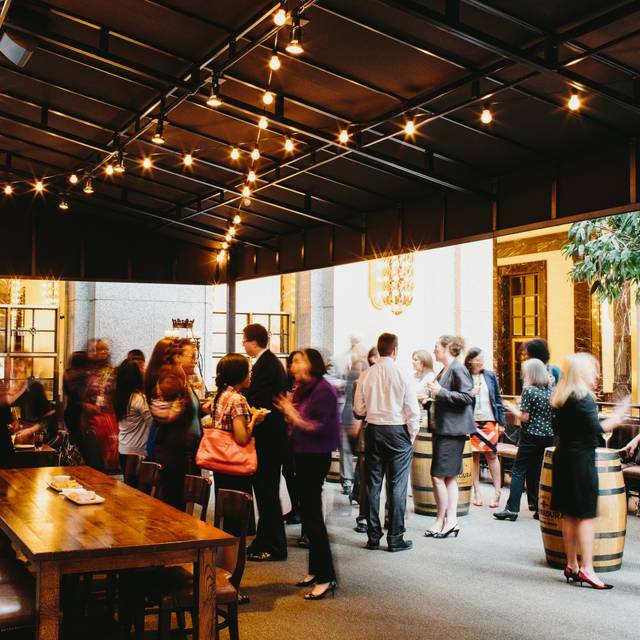 We are open for lunch and dinner 7 days a week and are positioned perfectly for downtown corporate and social group and private dining. 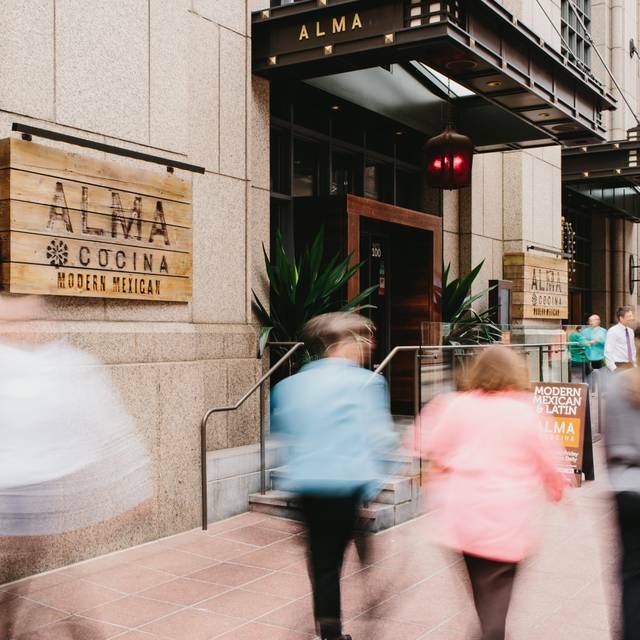 Alma is operated by Fifth Group Restaurants, owners of Atlanta favorites South City Kitchen Midtown, South City Kitchen Vinings, La Tavola, Ecco, El Taco, Lure and Bold American Events. 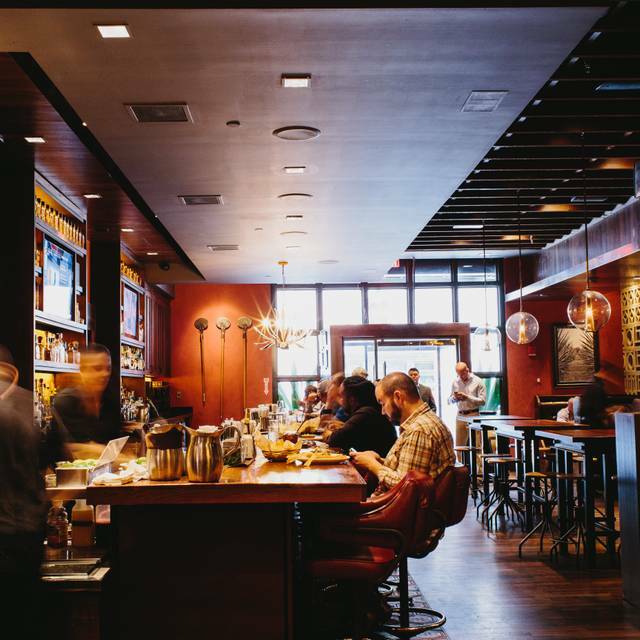 I eat at Alma Cocina at least once a month, and it is always outstanding. Gran comida y servicios. Los platos signatures son caros, pero hay opciones. wonderful and we had a very good waitress. She was very knowledgeable and gave good advice on our food selections. The food came promptly and her service was good. Good food and great service. Waiter was fantastic while the host was less than friendly, thus the four stars. Very good food; server was rude and forgot part of our order, kept pushing another glass of wine and seemed upset that we wanted coffee. Also, a broken espresso machine that has been broken for a while seemed inconceivable in a good restaurant. Do they not fix it to turn tables faster? We had a great time there. We were a big group and ordered a lot of appetizers and main dishes and everything was exceptional. I will be going back again for sure! Best Mexican spot in Atlanta Downtown. Highly recommended. The staff treat you like royalty. Definitely try the fried cheese. Share lots of small plates so you get to taste more of this authentic Mexican restaurant. Best margaritas you'll ever drink. Ask for a booth although tables are situated for easy conversation. Vast wine and tequila menu. Plenty to eat if you are a vegetarian. Make the reservation, you won't be disappointed. We've always enjoyed this restaurant but did notice that average prices have increased since my last visit I was also disappointed in that I'd called the restaurant, in the afternoon prior to our visit, and spoke to a hostess whose name I didn't get, about honoring one of the couples we were with who were celebrating their 50th anniversary. I was assured that it would be taken care of but nothing was provided so not sure where the communication breakdown occurred or if the word even got to the server. There was no expectation of any kind of comp but merely a surprise for them. Really happy with the service. Food was good but not my favorite. Outstanding experience! The table and ambiance was perfect for a special gathering, the waitress also gave us the perfect amount of attention, from menu descriptions to taking group pictures for us. The menu was also exceptional with many unique items that were clearly prepared by the chef with care and attention to detail. The octapus was really amazing! Will come back every time I am in ATL! Second time in Atlanta and had to come back to this place! Great food, great service and great venue! I came here for a business meeting and was very happy with the table location in the quieter atrium area away from the main room and bar. The server was great; attentive but leaving us time to talk before ordering, and recommending the guac and salsa tasting platter which was excellent. The roasted chicken mole main was good, but a little overpowered by the smoky mole sauce. Everyone enjoyed sharing the tres leches cake for dessert, so much so we ordered another. Our experience was great. 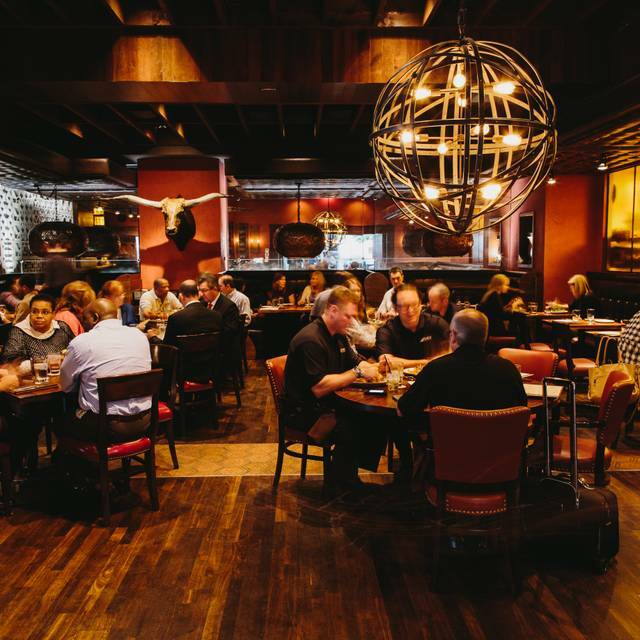 The food, atmosphere and our server. I didn’t have any drinks, but my friends did and they all loved what they got. I will definitely be recommending this place. Very nice restaurant, food and service. The main dining room is very noisy but we asked to be seated in the area that extends into the building lobby and it worked out very well. We had a lovely evening. I recommended this place to a friend a couple of weeks ago and would certainly do so again. The food, location, ambiance, service is AMAZING!! I have eaten at Alma Cocina nearly every time in Atlanta...because their food is inventive and delicious. Great drinks, too! What an excellent find. I was in town for a conference and decided to give this place a shot. The service is very attentive and the servers were very knowledgeable. They have a unique selection of Latin-inspired Mexican cuisine. The ambiance is cool, dark and romantic. The bar is well laid out. My only suggestion is to go lighter on the hot sauce as it was spicier than most food I have tried in the past. The drinks here were incredible. I will definitely be back and recommend to all of my friends. First time eating here. Great food and service. Nice place. If back in the city we will consider going again. 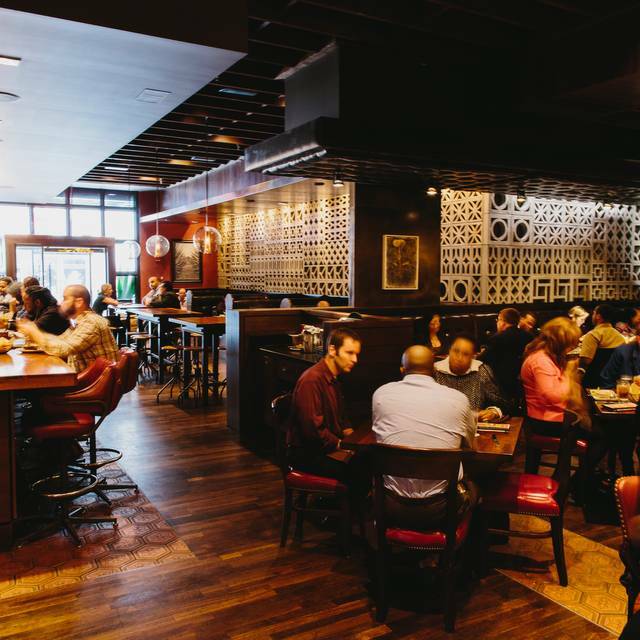 As soon as we know we will be in Atlanta, we book reservations at Alma Cocina. Excellent food, drinks and service! Great dishes and good for a casual business lunch. I would recommend. Great food and we loved the seasonal guacamole! Will definitely be back soon! Atmosphere was very nice with a well appointed dining room and comfortable seating. The music was too loud, however. For a restaurant of this caliber and cost, there should be less loud, fast-paced music to hurry you along. That aside, the service was excellent with attentive and knowledgeable staff. The food was, of course, the highlight of the visit. 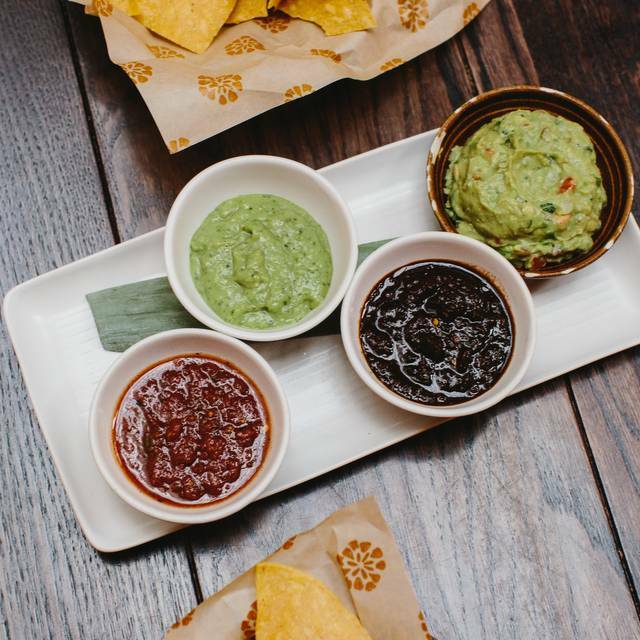 The guacamole and salsa flight was outstanding. With 3 varieties of each, you could sample some interesting variations on these old favorites. The tacos were familiar enough to make anyone comfortable trying them, yet with enough of a new twist to make them interesting and not like tacos you've had before. Very tasty and well done. The pork chop was well seasoned and cooked perfectly, accompanied by a sweet mole sauce and beans, it was just the right size. Well executed and an interesting take on a grilled pork chop. Would highly recommend it for a Latin twist. Finished up with the churros. Again, they were not like the usual churros you've probably had before, but were also no so different as to make them unfamiliar. Large and fluffy, they are paired with a couple of sauces, chocolate chili and goat milk caramel. Both were excellent and a great way to finish a great meal. The atmosphere was nice. We are from St. Louis. The drinks were expensive for how much you got. The taste was good but way more high end than I think we thought when we saw Mexican. It is def not their fault...we should have read the menu better. The place was nice. It was in a great location. The staff was helpful and friendly. I think we just thought it was going to be something else. No fault of the restaurant itself. I wouldn’t return for the food. I wouldn’t return for the service. And, unfortunately, a great margarita isn’t enough to bring me back. Out waitress didn’t know we had arrived. We waited a while and finally had to ask the host if anyone was coming. We ordered the salsa trio; She brought us guacamole instead. We ordered several small plates. The waitress said she would stagger them. Instead we had a table full of small plates all at once. Superica is just a much better similar option. Loved my dinner and our experience at Alma Cocina. Everything was delicious. Service was great! Will be back! Food was delicious! Chicken al Carbon was wonderful. Excellent service and excellent food! I would go back. Food was authentic, well prepared, and tasty! Fast but not pushy service. Great flavor combinations with fresh ingredients. Their food is way too spicy and there is no mention of this on the menu. The staff didn't warn us either about that fact. Honestly the best experience I’ve had trying a new restaurant! We made reservations for a birthday off of a recommendation and it was worth it! The margaritas are amazing and the guac even better! We were in town for a leadership event and met here to celebrate us as a team. We weee treated amazingly well by our server, Terry! He was incredible. Food was delicious and we couldn’t have enjoyed ourselves more. Thanks for a special night. Loved there blood orange margarita, avacado/salsa sampler and fried avacado tacos! Great atmosphere too! I was referred by a friend who comes to Atlanta for Market every year.